An itch, a runny nose, headache, red eyes, scratchy throat, these are the nasty combination of the classic symptoms of an allergy attack. 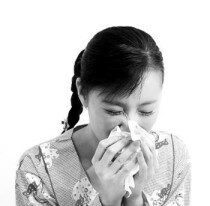 You see, our immune system may be triggered by allergens like pollens, dust, cat dander and what have you. Depends on what kind of allergens will your immune systems decides to be its enemy huh! Anyway, this allergens is then inhaled into your body and then an antibody is created. The antibody then detects the enemy, the allergens,and signals the immune system to destroy it. Now, our cells must release histamine to neutralize the allergens. That’s where the classic symptoms manifest. Then we go to the drugstore and take anti histamine drugs. Problem solved? Yeah, that’s what we think. The danger poses in because the antihistamine treats the classic symptoms and not the cause of that symptoms! Specific sensitivity to allergens is concealed when we take something that blocks the histamine. Worst, there are over the counter antihistamines that could even cause arrhythmias and worst, rebound allergic attacks. To read more more about how to relief allergies at home, please read here. They say that the eyes are the windows of the soul. Even if our lips remain closed, our eyes speak with emotions. We must take good care of our eyes for they remain to be one of the best assets that we carry throughout our lives. Taking care of them doesn’t mean that we need to cushion them with puffy eyelids! When our eyes get very tired, fluids remain puffed under our eyelids. The vessels will constrict and will retain fluids that will form like tea bags under our lids. If you want to look like gold fishes or you like Garfield very much, then puffy eyes are for you. But most of us would want to get rid of these puffy eyelids. There are home remedies that have remained famous all these time. Like the perennial cold tea bags that you put over your eyes while resting. After drinking a relaxing chamomile tea, save the tea bags and put them on the refriegerator. You may put them over your eyes when you sleep and wake up refreshed, now with deflated puffy eyelids. Do you have puffy eyes like Garfield? drink a lot of water to hydrate yourself. When you get dehydrated, the body saves fluid by storing them in areas like the eyelids.So, when you notice that the eyelids starts puffing, you will know that you need more water. How about salt? They say that when you eat foods with a lot of salt content, the body retains more water, thereby filling again those pillows under the eyes.But when you put a pinch of salt in warm water and dip some cotton to be applied under the puffy eyes, you will be sure his time that the salt will do you some good. Your eyes will thank you for removing the puff underneath. 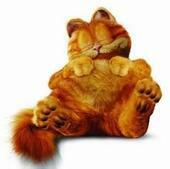 After all, who needs to look like Garfield? Everything you need is in your pantry or in your backyard. For simple cough, the kitchen is the best pharmacy. Specially now that prices of medicines are constantly going up. Not to mention the unknown allergies that you may encounter when using commercial cough syrups which often cause dizziness and sleepiness. If you are like me who prefers natural over synthetic, then read on. Garlic can help to relief coughing. Have you try it yet? The unbeatable garlic clove is once again on the limelight. It has many healing factors useful to man and one of that is for cough relief. If you can stand smelling of garlic every time you breath then you are on your way to great health, away from the hazard of commercial medicines. To prepare, boil a head of garlic, peeled and crushed, in 3 cups water. To sweeten the mixture, add a tablespoon of honey. If you don’t have one, you may use the stevia leaves which acts as natural sweetener. Let it cool and drink like tea.One home practice that my mother use for developing cough and even sore throat is lemonade. But this is interesting because its not simply mixed in water and sugar and to be taken immediately. Its pure squeezed lemon in lukewarm water left overnight outside the house! I don’t know why it must be left outside but it seems to work for my father. Anyway, lemon in itself is a powerful ingredient to soothe sore throat and irritating cough. When combined with honey, with its bee pollen and propolis, it becomes a potent medicine for cough. Remember, when it comes to cough, there are a lot of useful medicines in your cupboard or in your backyard. Think twice before going to the pharmacy.